The City of London is manipulating Australia, through its agent [Prime Minister] Kevin Rudd, long time intelligence operative closely tied into MI6, so that Australia’s position as incoming president of the UN Security Council is used to escalate, rather than resolve, the conflict in Syria. Anglo-Americans are targeting Syria as a proxy for their strategic targeting of Russia and China, including with nuclear weapons, which has created dangerous preconditions for another world war. The Anglo-Americans have even betrayed the American, British and Australian soldiers who have fought and died in Afghanistan fighting the al-Qaeda terrorist network [to enable Rothschild to run oil and gas pipelines from the Caspian], by unleashing the very same [CIA] al-Qaeda jihadists to target the regimes in Libya, then Syria and now the transitional government in Egypt, all funded by Britain’s [Jewish-ruled] terrorist-sponsoring client-state Saudi Arabia. Cast your mind back to August 2008 and the perfidy of Israeli and US involvement in Georgia’s attack on the innocent Russian people of Ossetia. See here. On Her Majesty’s Secret Service: Kevin 007? By Robert Barwick Sixteen months into Kevin Rudd’s prime ministership, Citizens Electoral Council leader Craig Isherwood demanded in a Webcast address, “Whom do you serve, Mr Rudd?” The answer, to anyone who has paid even cursory attention to the policies which Rudd has championed domestically, as well as internationally, is the British Empire. The Australian nation developed only thanks to “old” Labor’s fight for national banking and industrial protectionism against the “Money Power”— London-centred British finance and free trade—and it is this national heritage which Rudd has betrayed on behalf of the British Empire. So Rudd is obviously an agent of British imperialism. But, a look at his personal background forces one to ask, additionally: is he also formally a British agent, recruited early in his career to Her Majesty’s Secret Service? Is he, in fact, “Kevin 007”? Such recruitment to the intelligence services usually takes place early in one’s career, at university or soon after, when a prospective agent shows him or herself to be bright, ambitious, and, just as importantly—unscrupulous; better yet, duplicitous and sadistic by nature. Before reviewing Rudd’s personal record, consider the historical context in which he, and similar traitors to Australia’s vital interests are recruited. 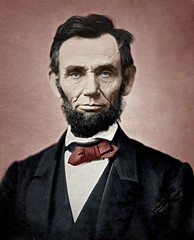 In the last quarter of the 19th Century, as a result of the mass industrialisation and railroad building in the U.S. unleashed by President Abraham Lincoln’s victory over the British-sponsored, rural slave-based Confederacy, British imperialism faced a mortal threat. Not only was the industrial might and population of the U.S. exploding, but many other nations were emulating its policies of protection, national banking, and railroad building, the latter of which posed a direct challenge to British maritime control of the world. These included Germany, Japan, and Russia, among others. Not able to face this challenge directly, as through the gunboats and redcoated armies of the past, the British oligarchy typified by Bertrand Russell, H.G. Wells, et al., founded the Round Table movement, including its Fabian Society sub-division which targeted particularly the rising influence of the working classes, but also industrialism per se. The Round Table adopted the classic Fabian strategy—don’t attack a more powerful enemy directly, under one’s own flag, but wear him down by cultural and financial subversion, and by manipulating your enemies to fight ruinous wars against each other, like World War I and II. And in place of the naked colonialism of old, the Round Table substituted a policy of “indirect rule”, or “self-rule”, whereby the “native” ruling elite of their old colonies would be trained at Oxford via Rhodes scholarships, or recruited to pro-British imperial outlooks via the local Oxfords in the colonies, such as Harvard, Yale et al. in the U.S., or Australian National University, Melbourne University, etc. in Australia. Soon known as the Royal Institute of International Affairs (RIIA), the Round Table set up powerful branches based in the local oligarchies of its “former” (or intended) colonies. 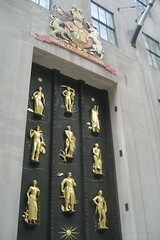 Its U.S. subsidiary, for instance, the Council on Foreign Relations, was largely drawn from the major investment houses of Wall Street, most of whom had been set up by the British in the first place, while its Australian division, the Australian Institute of International Affairs (AIIA) was comprised of leaders of our corporate and financial elite. The AIIA, in turn, spun off various fronts such as the Australian-American Leadership Dialogue, which is merely a collection of Anglophiles in America, meeting with their opposite, also Anglophile associates in Australia. Moving into the present, Australia’s place in British imperial schemes is what it has always been—a British strategic outpost in the Pacific. But, with the rise of China, India, and Asia in general, Australia’s role has been upgraded as well. For instance, in 1995, the RIIA issued a policy document entitled, Economic Opportunities for Britain and the Commonwealth, which announced that Australia should be, more than ever before, the British corporate and financial “stepping-stone to Asia”. The report chronicled the astonishing amount of British foreign investment in Australia, and listed hundreds of British firms which had already set up their Asian headquarters in Australia, a list which has greatly expanded since. This defined the strategic environment in which the Mandarin-speaking Rudd was recruited into Australia’s foreign policy establishment, itself a de facto subsidiary of the RIIA. Notwithstanding our nominal independence upon Federation in 1901, Australia did not run its own foreign policy until the early 1940s, following Prime Minister John Curtin’s December 1941 break with Churchill and the British, to go with America. Until then, the major aspects of our foreign policy were officially run directly from London. 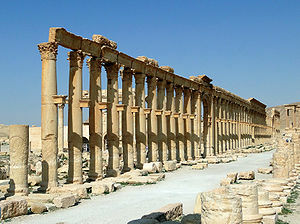 Until the Statute of Westminster, a 1931 Act of British Parliament which granted “legislative equality” to Britain’s Dominions, was ratified by the Australian Parliament in 1942, Australia’s status as a Dominion meant our foreign affairs were handled by the British Foreign and Commonwealth Office. But even when we assumed formal control of our foreign policy, it was via an apparat which had long been subservient to British interests, which just continued on under a new name, presently the Department of Foreign Affairs and Trade (DFAT). Now, let us turn to the career of Kevin Rudd. 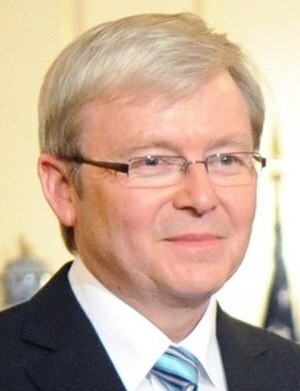 Rudd studied Chinese at the Australian National University (ANU) from 1976-79, where he was mentored by world-renowned Chinese scholar Pierre Ryckmans. After a stint in Taiwan in 1980, he returned to submit his thesis, which glorified China’s leading dissident, Wei Jingsheng, a darling of the RIIA circles in London. In 1981, Rudd went straight from university into the Department of Foreign Affairs (now DFAT), which, as per its history noted above, is one big intelligence apparat, of which the formal spy agency, ASIS, is merely one section. Not surprisingly, many DFAT officials are actually ASIS spies acting under “cover”. Rudd served as a diplomat in Sweden, and then in China until 1987. That Chinese phase of Rudd’s career was to have telling aftereffects. A four-day trip he took to Taiwan in 1999 was paid for by a reportedly corrupt former Taiwanese MP, Chang Yu-huei, who was Minister without portfolio and Secretary-General of the Cabinet in the government of the pro-independence British darling President Chen Shui-bian, who came close to provoking a Taiwan-China war by his escalating actions for Taiwanese “independence”. In a backhanded way, Rudd biographer Nicholas Stuart reflected the same perceptions, going out of his way to assert that despite Rudd’s efforts to “veil his activities” during his time in China, it “appears that Rudd did not hold any position as a spymaster”. Far less circumstantial, is that in 1988 Rudd applied, and was accepted for a key position in London with Australia’s peak intelligence agency, the Office of National Assessments (ONA), reporting on intelligence and strategic matters directly to the Prime Minister. In the event, Rudd didn’t end up in London, but instead made what might seem, on the surface of it, to be a radical career shift: in 1988, at the age of only 31, he became Chief of Staff to Queensland Premier Wayne Goss, the first Labor premier there in 21 years. But was it a shift? As the all-powerful mandarin under Goss, he rammed through National Competition Policy “reforms” in Queensland from 1989-95, reforms which the New Citizen has documented as emanating directly from the Mont Pelerin Society (MPS), the London-based headquarters of British imperial economic warfare, as implemented in Australia by the Australian subsidiary of London’s Hill Samuel Bank, later known as Macquarie Bank. Through deregulation, privatisation and outsourcing, these MPS-designed “reforms” devastated Australia’s domestic industries, infrastructure and services. Both their effects, and the savage way in which Rudd rammed them through, earned him the nickname, “Dr. Death”. When it was decided in 1995 that Rudd should enter Federal Parliament, the path was cleared for him to win Labor Party pre-selection for the federal electorate of Griffith, by a branchstacking campaign so extensive it sparked a nationwide scandal about Labor Party branch-stacking, which was investigated by the ABC’s Four Corners. Rudd failed to win Griffith on his first try, in 1996, but he was pushed through in 1998. And fellow Labor MPs who questioned his credentials, or the circumstances of his wife’s curious rise to riches in business, were quickly gagged. His Labor credentials were indeed curious, including as they did, his membership in the neo-conservative Australian-American Leadership Dialogue; his regular attendance at the notorious Mont Pelerin Society front, the Centre for Independent Studies; his support for the Iraq war which Tony Blair had personally launched via his “sexed-up” dossier on Saddam Hussein’s non-existent nuclear bomb; and his connections to the British backed pro-independence, rabidly anti-China networks in Taiwan. But all these went unquestioned as Rudd was fast-tracked through the ranks of the party to become the Leader of what he liked to call “Her Majesty’s loyal Opposition”. And so, when Labor’s defeat of the discredited Coalition government loomed as inevitable in 2007, and Her Majesty wanted to guarantee that the ALP replacement for her faithful servant John Winston Howard wouldn’t resort to “old Labor” policies in the face of the economic collapse, she had the perfect candidate. Meanwhile, another key component of the Rudd story was unfolding, that of his wife Therese Rein’s rags-to-riches rise in business, which has netted the PM and his wife a conservatively-estimated $60 million fortune. 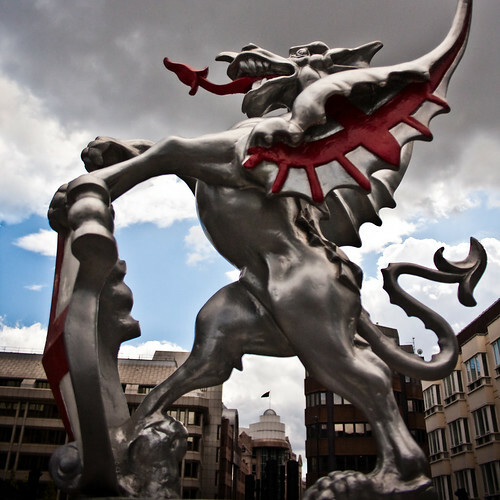 Rein’s Ingeus company earns all of its income from government outsourcing. She won her first government contract in 1993 when Paul Keating outsourced job placement for the long-term unemployed, and enjoyed a windfall in 1996-97 when the Howard government abolished the Commonwealth Employment Service (CES) and established the private Job Network. By then, the board of Rein’s “independent” business included Wayne Goss, Qantas director and former Commonwealth Public Service head Mike Codd, and former ASIC regional commissioner Barrie Adams. Following Tony Blair’s 1995 election as British Prime Minister, she won similar contracts in Britain, reportedly leveraged through Goss’ former political adviser Michael Stephenson who switched to advise Blair. Following Rudd’s 2007 election, Rein sold out of the Australian side of her business, supposedly to avoid a conflict of interest. But the confl ict of interest is now bigger than ever: the vast majority of the Australian PM’s household income now comes directly from the British government. This entry was posted in News Archive and tagged Abraham Lincoln, Australia, Australian Institute of International Affairs, British Empire, City of London, Kevin Rudd, london, Rudd, Syria by renaissancelearningfoundation. Bookmark the permalink.